Any bets as to whether or not Marquis gets out of the first inning? I bet he goes at least 1 2/3 tonight. I see Nyjer's 2/10 job has earned him the top spot in the lineup, again. Always love to see the Nats reward good play. 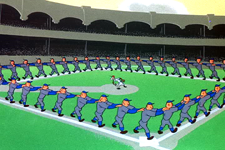 Adam Dunn's defense is a problem but not the guy who keeps defending Morgan's ineptitude. Brilliant logic Rizzo! I say you a chicken hawk boy. Not going through the motions Ray? That started in June. freak, didn't realize Marquis was starting tonight I really want a win right now. I'll never eat at KFC again. 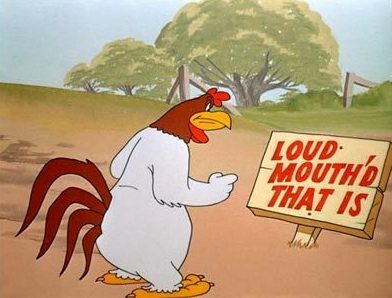 Not after what they did to Foghorn Leghorn. Seriously our rotation is so freaking crappy, it is unbelievable that we expect to win with the starters we put out 3 nights of every 5. What are the 2 good starters we put out every 5 nights? Nyjer would rather be lucky than good. Page created in 0.144 seconds with 24 queries.